If you’ve been injured in a truck accident in Tampa, Ligori & Sanders Attorneys at Law is here to help you. The devastating results of your accident have the potential to reach into almost every area of your life. For this reason, you need a legal professional to assist you in dealing with all the logistics afterward so you get the financial compensation you deserve. Our country has been taking a hard look at cell phone usage while driving in each state. For example, our neighbors in the state of Georgia recently passed House Bill 673 on July 1, 2018. It specifically addresses what you can and cannot do on your cellphone while driving. It includes items such as not shooting or watching movies while driving; you also may not hold your phone while driving. Hands-free technology is the only way you can use your cellphone while driving in Georgia. While talking on your cell phone is legal in Florida, texting while driving is illegal. The DMV Florida states, “By now everyone should know that texting while driving is extremely dangerous….and can result in points on your license.” Not only that, but texting while driving can cause serious accidents and harm. If a driver using their cell phone has injured you, it can cause a great deal of damage. However, the injuries that can occur when hit by a large truck weighing upwards of 10,000 pounds, the results can be disastrous. Driving distracted for any reason can cause a head on collision. Head on collisions are one such accident that can happen when a truck driver is using the cell phone while driving. This type of collision is likely to cause a fatality. 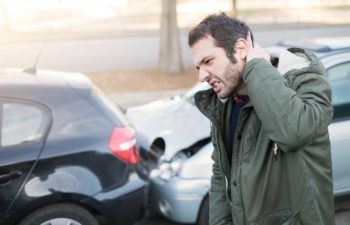 These types of accidents are complex and require solid legal assistance for the loved ones who are left behind after you lost a loved one in a truck accident. The laws established by our state regarding unsafe driving practices will help protect you and get you the compensation you are entitled to. If you or a family member is a truck driver there are helpful tips for safe driving so you can avoid the potential of an accident. Make sure your phone of electronic device is not within arm’s reach so it is not a temptation. Make sure your family members and friends know that you will not be responding to them immediately via the phone. Instead, you will wait until you get to a safe stopping point to contact them. Join other truckers in keeping each other accountable. Research apps that notify others that you’re driving and when you stop you’ll respond as soon as possible. Keep in mind the devastating effects of a head on collision. If you’ve been injured in a Tampa truck accident call Ligori & Sanders Attorneys at Law today. We deal is truck accidents such as driver fatigue, driver on drugs, falling debris from trucks, head on collisions, overloaded trucks and speeding trucks.